Your child has a better chance of becoming a millionaire than a pro athlete! A good education – priceless!!! Now open in our bright, beautiful, new space - stop in to say hello! 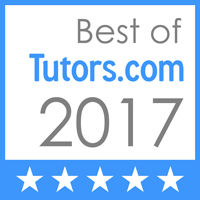 We now offer live, on-line tutoring via Skype! Miss Anne is on the Patch! Visit the Patch to read her articles. Click here to hear to Miss Anne on the radio! Miss Anne appeared on The Financial Exchange radio show on WRKO. Read Miss Anne's interview with the Washington Post on private school admission. Miss Anne is blogging about all things related to private school admissions — how to prepare, choose, and ensure your child's experience is everything they deserve. Click here to read more.